We provide a huge range of car hire Malaga Airport offers sourced from the regions finest rental firms. Search today for a value for money deal. Over 18 million passengers used Malaga Airport in 2017 . It’s the fourth busiest Spanish Airport with more than one hundred and twenty thousand flights per annum. 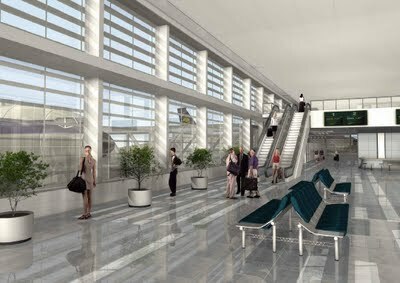 You will find two terminals in Malaga with Terminal 2 by far the busiest accounting for 90% of passengers. Follow the signs and you will also find bus and train providers accessible at the airport. When you rent a car in Malaga, you open up a wealth of touring opportunities. Malaga is very popular among sun seeking tourists around the world. It is situated on the Costa del Sol and is the second biggest town in Andalucia. It is also famed for its amazing seafood and fantastic sunshine. You won’t find any cheaper Malaga Airport car hire offers online. Have a look for yourself today with a quick search. In order to reach Malaga, many foreign visitors fly into Malaga Costa del Sol Airport, which was one of the first airports in Spain, and is the oldest still in operation in the country. Travellers can catch regular daily flights to 20 other Spanish cities from here, as well as to many of Europe’s major air hubs. There are also good rail links, with Malaga-María Zambrano Train Station connected to the rest of Spain by the AVE high-speed rail system. Buses are an efficient way of getting about the city itself, while the Port of Malaga has been in use since around 600BC and remains one of Spain’s busiest sea ports. Due to an abundance of flights from Ireland, Malaga has become a starting point for many Irish setting off on a sun seeking mission to Spain. Both Aer Lingus and Ryanair offer regular sales so keep an eye on the national press and sign up for each airlines newsletters as there are lots of possibilities to grab a cheap flight throughout the year. See how much money you can save today with one of our high quality Malaga rentacar offers. A full tank and you are ready to hit the road. There is no shortage of things to do as soon as you arrive in Malaga. The Picasso Museum is really something for those with a curiosity in art and history. Pablo Picasso is among Malaga’s most famous sons. He was born not far from where the museum is situated. There are two museums situated at the Alcazaba Castle. You can check out some Gothic and Greek artifacts at the Archaeological Museum while the Museum de la Ceramica has pottery on display from various periods of history. You cana lso find a Roman theatre which dates from the first century on the grounds of the castle. The Museum of Arts and Popular Traditions contains the work of many local artists from numerous time periods. Those with a curiosity for architecture ought to pay a visit to the Cathedral in Malaga. The building of this cathedral began in the early 16th century and was continually built over the following centuries which led to a mixture of different styles. There are many superb restaurants in Malaga boasting fantastic fresh seafood delights. There are some great spots to shop in the marketplace region of the city too and it is the perfect location to observe some Malaga city life. Malaga has developed a fine reputation in recent years as a cultural centre for Andalusi. 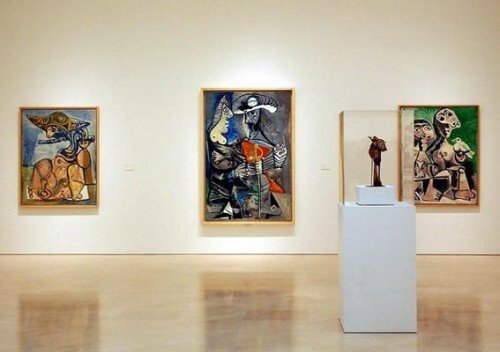 Viewed by many as being in the shadow of nearby Seville for a long time, the opening of the Picasso Museum in 2003 helped to trigger something of a surge of interest in the cultural life of the town. As well as plentiful museums, there are lots of lively bars, restaurants and nightclubs, while the city’s proximity to the sea means that Andalucia’s fierce heat is moderated a little here. Before you explore the many museums and monuments that Malaga contains, it is a good idea to have a wander around the city centre. This will give you a nice feel of the vibe of the city, with Calle Marqués de Larios a nice pedestrianised shopping street. The Plaza de la Constitución is the main square and forms the focus of many of the celebrations in the town. It is particularly pretty in December as Christmas nears. 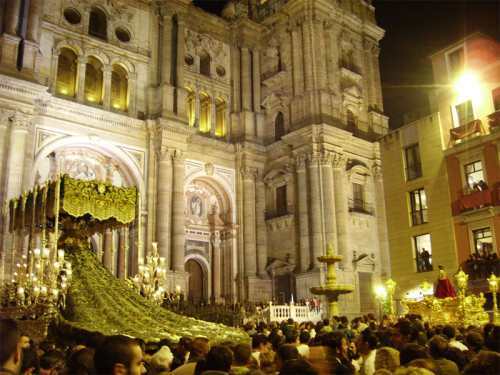 It becomes very lively indeed during Easter Week, or Semana Santa, when religious fervor grips Malaga and crowds throng the streets and squares to see processions and performances. The weather is fabulous in this part of Spain too, with Malaga enjoying one of the warmest winter climates in Europe. This makes getting outdoors and looking at some of the city’s fantastic monuments even more enjoyable. The city’s Baroque Cathedral is spectacular, with locals referring to it as ‘La Manquita‘ (the One Armed Woman). The oldest monument is the city though is the Teatro Romano (Roman theatre). This dates back to the first century AD, being built during the reign of the Emperor Augustus. Despite being pillaged for its stones, and damaged in the Spanish Civil War when Malaga was bombed by the fascists, the monument still provides an impressive insight into the Roman era in the city. With such great weather and climate, it is no wonder that a coastal city like Malaga has some wonderful beaches to explore. 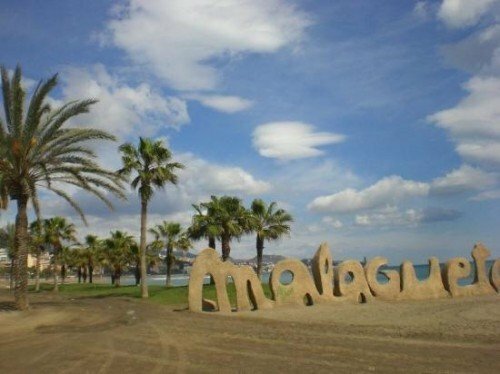 The nearest to the city centre is the Playa de la Malagueta. Its main plus point is convenience, with it being just a 20 minute walk from Plaza de la Constitución. It is well served by bars and cafes, as well as other facilities, but the sand and view are not necessarily the best available. If you are prepared to walk for an hour or so, then a nice beach can be found at Playa de las Acacias in the Malaga suburb of Pedregalejo. Regular buses also run here it you want to save your legs and there are no hire cars booked. If you want to explore Spain’s history, this is the city to do it in. There are more museums here than in any other city in Andalucia, with the Picasso Museum perhaps the most famous. This venue was opened in 2003, to help pay tribute to the great artist, who was born in Malaga. Housed in the Palacio de Buenavista in the Historic City Centre of Malaga, a visit here is complemented by a trip to the Casa Natal, just a short distance away. This is actually the house where Picasso was born, and there are some small exhibits here about his life. Many visitors assume that the Casa Natal is the Picasso Museum and then do not visit the actual museum. Make sure that you do not make this mistake as you will be missing out on a real treat for art lovers. Another group of invaders who played a massive part in the history of Malaga and Andalucia were the Moors. 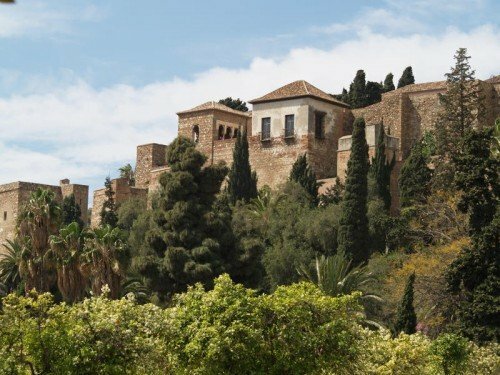 You can gain some insight into the Moorish era of Malaga’s history by visiting La Alcazaba, one of the city’s Moorish fortresses, which dates back to 1065. This is considered the city’s most important landmark, and occupies a position overlooking Malaga from a hill located inland from the sea. Two of the stronghold’s original three walls remain largely intact, as do 100 towers and three palaces. The Castillo de Gibralfaro is the city’s other Moorish fortresses, and is also well worth a visit. It also has a hotel contained within it, the Parador. The Wine Museum offers visitors some interesting insights into local vineyards and how Andalucian wine is made. Moscatel, a sweet dessert wine, is the main wine from the region, and is almost as famous an Andalucian product as sherry from Jerez. The history of wine-making in the area, from the Phoenicians to the Greeks to the Romans and Moors can be explored. Art lovers should also make sure that they see the Carmen Thyssen museum. This venue takes its name from the well known art collector. This is basically her personal collection, put together over the last 30 years or so. Zurbaran, Sorolla, Zuloaga and Romero Torres are among the artists whose works are on display here. Other museums in the city cover archaeology, fashion, automobiles and many other things, so a visitor is certainly not short of options. Malaga is a magical place in southern Spain which has more to offer than many other ‘tourist’ locations. Whether you prefer the cool interiors of art galleries or to be out in the sun on a sandy beach, this superb Spanish city can provide you with all you need. If you need a car in Malaga then you know what to do. Enjoy your holiday and take advantage of the cheapest rates online. Choose a reputable car rental company through our booking engine. There is no need for any coupon codes as you already have the best price.